Lonny Olinick heads Kobalt's recording division, AWAL, one of the largest and fastest-growing independent global recording companies, which has placed itself as a modern music company with the ability to sign and develop successful artists. Over the past year, Olinick has helped lead the business to see AWAL artists' streams more than double Among the AWAL roster, which also includes major independent labels including Glassnote, are artists such as Lauv, Rex Orange County, R3HAB, Tom Misch, deadmau5, The Kooks, The Wombats, Bruno Major, Broken Bells, Steve Lacy and others. 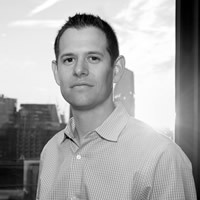 Previously, Olinick served as Kobalt's Chief Strategy Officer where he was responsible for strategy and business development, as well as executive oversight for AWAL. Prior to joining Kobalt, Olinick held positions at RCA, Sony BMG and Bain & Company, as well as running his own artist management company.